Blackhole, Software algorithmic reverb from Eventide. 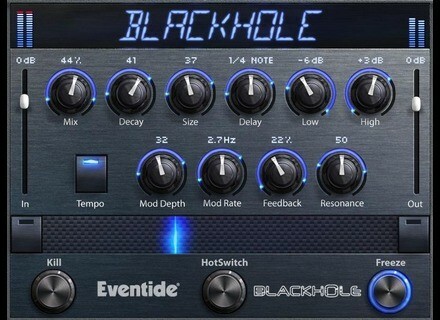 In March, Eventide offers its Blackhole reverb plugin for $49, a 75% discount compared with usual list price. 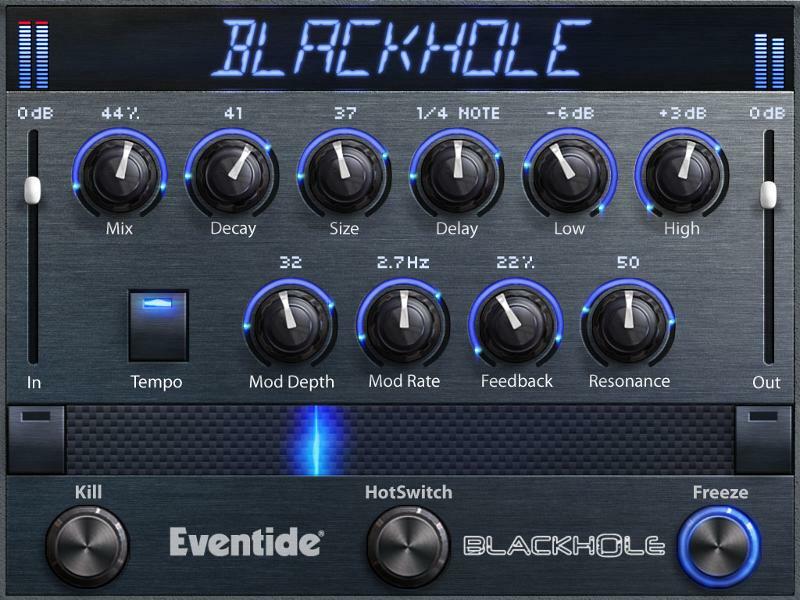 Until the end of the month, the Eventide Blackhole is available for $49 instead of $199, and Anthology X owners can get it as a crossgrade for $19. Blackhole is a plugin for Mac OSX 10.7+ and Windows 7/8/10 systems available in AAX, AU & VST formats. Although an iLok account is necessary, no iLok dongle is required. Offer expires on March 31st, 2016. More details at Eventide Audio's website. Spring Into Sound with Native Instruments Native Instruments today launched their Spring Into Sound sales special with updates, upgrades, and crossgrades to Komplete 10 at half off. Optivelox introduces SS07 Optivelox presents SS07, an audio-to-USB converter + stereo mic that allows you to make quality recordings on Android smartphones & tablets.